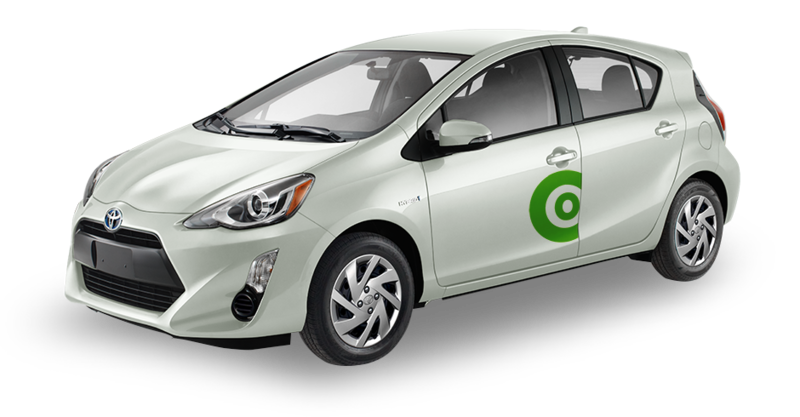 Enjoy unlimited Auto-mobile trips of 30 minutes or less for a whole month. Thanks to this exceptional offer from Communauto, drive with peace of mind. All your Auto-mobile trips that last 30 minutes or less are included in a flat fee… and so are gas and insurance, as usual! To enjoy free rides, you must allow for a 45 minutes break between the end of your last trip and the beginning of the next one (including "blocked" time). With just one click, select the Auto-mobile Unlimited Pass. No matter when you decide to take it, it is valid for a month from the selected starting date. Or go for a Communauto Value Plan and get even more ! Combine Auto-mobile Unlimited to your plan and maximize your savings! Renewable as needed, with no obligation. Subscribe to our Value Extra Plan and get a $25 rebate on the Auto-mobile Unlimited Pass. Subscribe to our Value Plan or Value Plus Plan and get a $10 rebate on the Auto-mobile Unlimited Pass. ... Or stack up the advantages and remain free as a bird. 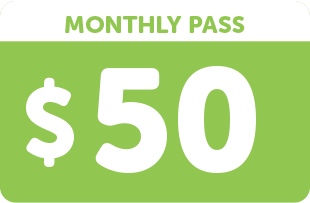 Add the Auto-mobile Unlimited Pass to your plan only when you need it for just $50 per month. Log on to your personal account. Locate the Auto-mobile Unlimited option in the Personal Information section of your member profile. Select the desired starting date or dates. 1) The Auto-mobile Unlimited Pass allows you to enjoy unlimited Auto-mobile trips of 30 minutes or less for a whole month for free. Your trips become billable starting on the 31st minute. 2) Free Auto-mobile trips apply to the first billable 30 minutes of your trip. You remain eligible to all other credits that may apply when you use an Auto-mobile : 30 free minutes to get to the vehicle once it has been blocked (not invoiced), credit of up to 15 minutes for snow removal, 20 free minutes when you stop for gas (see conditions). 3) Consecutive use of vehicles: in order to enjoy the 30 free minutes of use, you must allow for a period of 45 minutes after the end of a trip before blocking or using a vehicle once more. The same time limit applies for a successive use of the same vehicle by a cosubscriber or an authorized driver working for the same employer. 5) The use of a pass may be suspended with no credit, reimbursement or extension of the validity period in case of non-compliance with the terms of the Membership Contract and the Rules & Regulations for the use of vehicles (late payment, balance in excess of $500, debit failure, etc.). 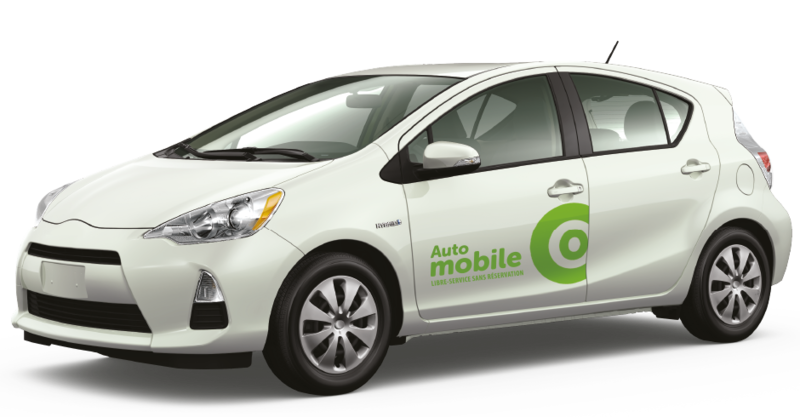 6) If you haven’t joined Communauto yet, get your Auto-mobile Unlimited Pass by signing up online. 7) If you already are a client at Communauto, log on to your personal account and locate the Auto-mobile Unlimited in the Personal information section of your member profile. 8) You can purchase an Auto-mobile Unlimited Pass at any time during a month. Your pass is effective immediately or on the date / time of your choosing. Repeat if you want to immediately obtain passes for the following months. They will be charged by the unit and at their starting date. 9) You can cancel a pass at any moment, given its starting date / time is not passed. 10) Once the starting date/time has passed, it is not possible to cancel a pass or get a refund. 11) Communauto reserves the right to change its rates prices and / or terms and conditions at any time using a 30-day notice. If the Member can refuse this modification by terminating the contract, by sending a written notice to that effect no later than 30 days following the entry into force of the amendment.